Hailing from Edmonton Canada, MORTILLERY are on a mission to deliver true thrash metal. They stand out with their smashing riffage, raw energy and dynamic female vocals! Today the band announces details of their upcoming metal beast including, the album title, track listing, artwork & release date. This heavyweight release is the perfect blend between melody and aggression! 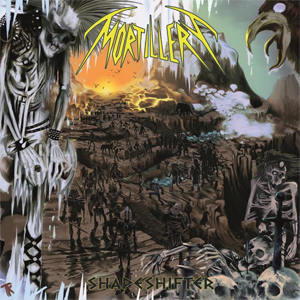 MORTILLERY's third album Shapeshifter is a ferocious beast drunk on speed, venomous guitar solos and the rabid vocals of Cara McCutchen. Shapeshifter will be released on May 27th via Napalm Records.